The New World giant tortoises famously inhabiting the Galapagos Islands off Ecuador in the Pacific Ocean were once rivalled for size by several huge Old World species native to the Indian Ocean's granitic Seychelles group, the coral atoll of Aldabra, the Mascarene islands, and Madagascar. Of these, only the Aldabra giant tortoise Aldabrachelys [=Dipsochelys] gigantea [=dussumieri, =elephantina] is traditionally thought to have survived into the present day, the remainder having been killed for their meat during the 1700s and 1800s - or so it was thought, until Arnold's giant tortoise and the hololissa unexpectedly reappeared in modern times. 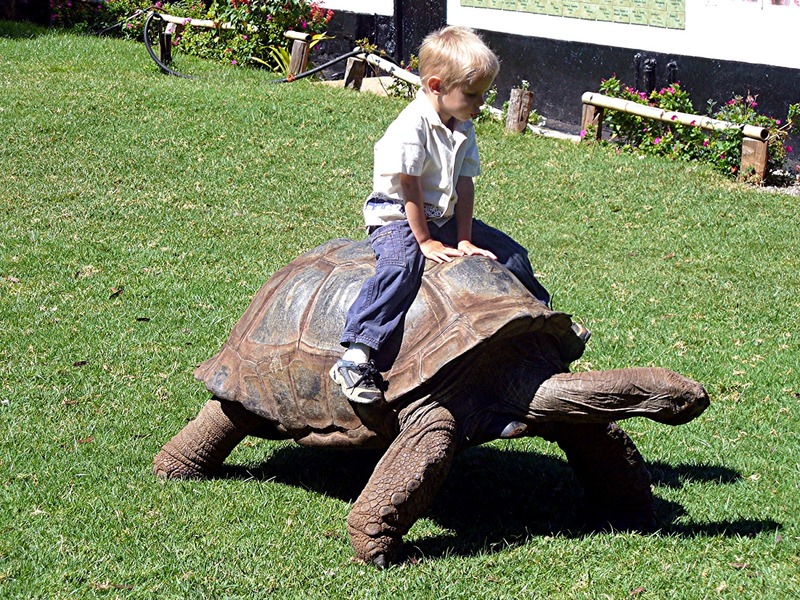 There has been much debate concerning the precise number of giant tortoise species native to the Seychelles. Four are currently recognised (although some researchers deem them merely to be subspecies of a single species), one of which was formally described in September 1982, by Dr Roger Bour from France's National Museum of Natural History. He based his description upon three old taxiderm specimens (two at the above museum, the third at the British Museum). They possessed various skeletal modifications that seemed to be adaptations to browsing, and originated from the granitic Seychelles islands. Bour named their species Dipsochelys [now Aldabrachelys] arnoldi, but as there did not seem to be any giant tortoises (other than Aldabra's) in the Seychelles today, he naturally assumed that it was extinct - belatedly recognised as a distinct species, yet irretrievably deceased. Imagine, then, his surprise when, while still preparing his paper, Bour was shown some photos by film producer Claud Pavard (who had taken them in August 1981) depicting two living giant tortoises that seemed to belong to his supposedly extinct species A. arnoldi. Nor was this the only surprise. The tortoises, males and very old, were living in semi-captivity at a sugar estate, but not in the Seychelles - instead, on Mauritius! Naturally, Bour hoped to visit Mauritius, to ascertain conclusively these potentially significant specimens' identity. And that is where this most promising saga seemed to come to an abrupt end. 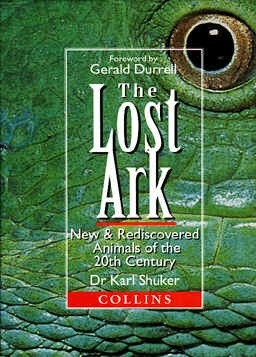 During my preparation of my book The Lost Ark, published in 1993 and the first in my trilogy of volumes documenting new and rediscovered animals from 1900 onwards, I was unable to locate a single publication carrying any further news regarding these tortoises, and none of my zoological colleagues and correspondents had any details (sadly, I never succeeded in eliciting a reply from Dr Bour himself), though they were all as intrigued by it as I was. Happily, however, the mystery was finally solved in May 1992, when I learnt from British Museum herpetologist Dr Nick Arnold (after whom A. arnoldi had been named) that Dr Bour had indeed visited the two Mauritius specimens, but had found that they were not representatives of A. arnoldi after all. Moreover, Dr Ian Swingland, Founding and Research Director of the Durrell Institute of Conservation and Ecology (DICE), informed me that giant tortoises reared in captivity sometimes have shells that have become distorted in shape, due to the way in which these animals have been fed. In some cases, therefore, it is possible that they may even resemble the shells of quite unrelated species, and this is presumably what had happened in the case of the two Mauritius specimens, which were probably individuals originating from Aldabra. Captivity-induced distortion of shell shape can cause problems for tortoise taxonomists too, especially if they are dealing with specimens whose life histories are unknown (and which, therefore, may have been reared in captivity). Of course, one objection that could immediately have been raised in relation to this entire episode is the fact that supposed specimens of A. arnoldi were discovered not in the Seychelles, but instead in Mauritius. As it happens, however, this objection can be effectively countered - because a number of giant tortoises from the Seychelles are known to have been introduced there after that island's own indigenous species had been exterminated during the 1700s. In particular, the French explorer Marion de Fresne transported five such specimens in 1776 from the Seychelles to his military barracks on Mauritius. What was assumed to be the last of this quintet died there in 1918, but there may have been others too, whose records have failed to survive to the present day. In any event, what did seem clear at the time of writing The Lost Ark was that none of the long-lost species of Seychelles giant tortoise had been resurrected after all. During 1995, however, another discovery was made - one that added a new and much more dramatic chapter to this long-running saga of mistaken and incognito identities. 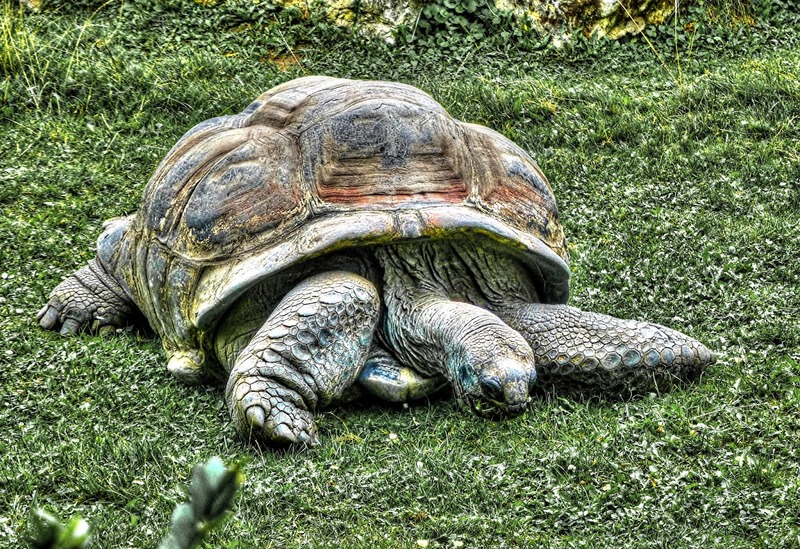 In January of that year, the Nature Protection Trust of Seychelles (NPTS) learnt of two very large, and very old, male tortoises living in the garden of a Seychelles hotel. 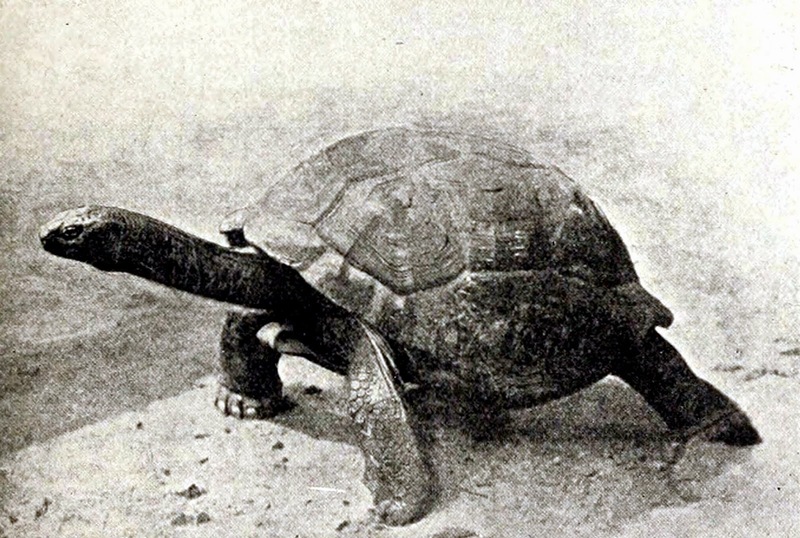 When examined by Dr Justin Gerlach and K. Laura Canning, chief scientists with the NPTS, they were found to exhibit pronounced flaring, flattening, and scalloping of the carapace, especially over the hind legs - characteristics that distinguished them from the Aldabra giant tortoise but corresponded closely with those of Arnold's supposedly long-extinct species. Enquiries revealed that these and one other male specimen had been purchased in 1994 from an old local man, in whose family they had been throughout living memory. The third had died in December 1994, but its skeleton was preserved and donated to the NPTS's scientific collections. Cranial studies subsequently determined that it was indeed distinct from the Aldabra species. Genetic studies were also set in motion, to bypass any possible misclassification based solely upon morphological characteristics - which can, as already ably demonstrated with the earlier episode of the Mauritius specimens, be very deceptive. By early 1997, several additional specimens of unusual giant tortoise had been discovered in various Seychelles localities and examined by Gerlach. Moreover, whereas some of these resembled Arnold's giant tortoise, eight others closely recalled a second supposedly long-vanished species - the hololissa Dipsochelys [now Aldabrachelys] hololissa. Previously, this latter species had been known only from two shells found in 1810, described in 1877, and destroyed in the 1940s by German bombing raids during the London Blitz. It formerly inhabited various granitic islands of the Seychelles, where it grazed vegetation on the edges of streams and marshes, but had vanished in the wild by 1840. In March 1997, Dr Les Noble conducted genetic tests at Aberdeen University on blood samples taken by Gerlach from a large selection of live Seychelles giant tortoises, including the controversial ones. 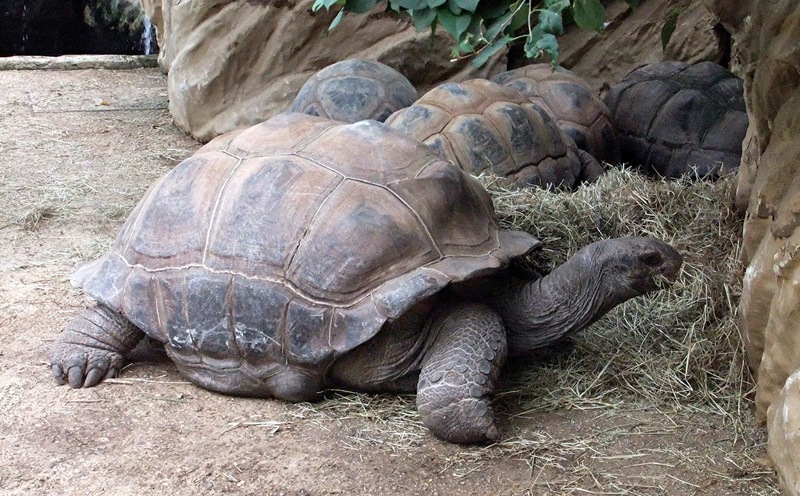 These tests showed that three distinct groups could be identified, revealing that eight of the specimens were hololissas, two were Arnold's giant tortoises, and the remainder were Aldabra giants. But this was still not the end of the story. 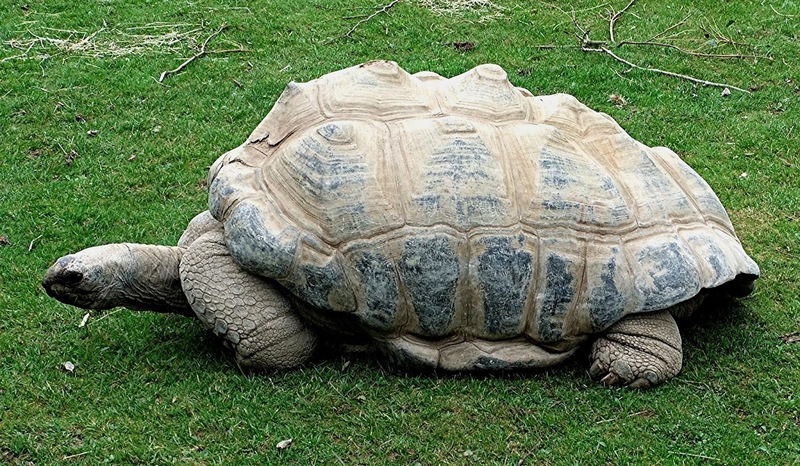 A year later, Blackpool Zoo in England announced that Darwin, the Aldabra giant tortoise that had been living there for the past 25 years, was not a member of the Aldabra species after all. While closely scrutinising photos of recently-discovered living specimens of the hololissa, staff at the zoo were astonished to discover that they looked just like Darwin. 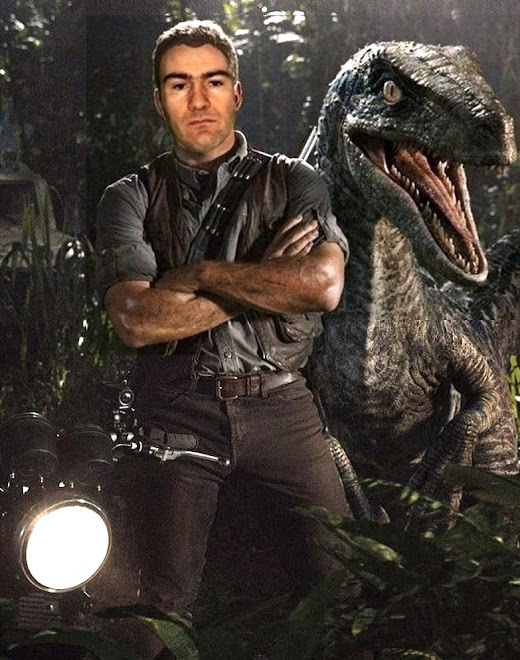 Anxious to learn more, they duly contacted Gerlach, who visited the zoo, examined Darwin, and confirmed that he was indeed a living hololissa. This presumably explains why he has never successfully mated with Beagle, the female Aldabra giant tortoise that accompanied him when he arrived at Blackpool in 1972 - because they belong to separate species. Similarly, I subsequently learnt from the Cotswold Wildlife Park, also in England, that one of their supposed Aldabra giant tortoises had also been unmasked as a hololissa. 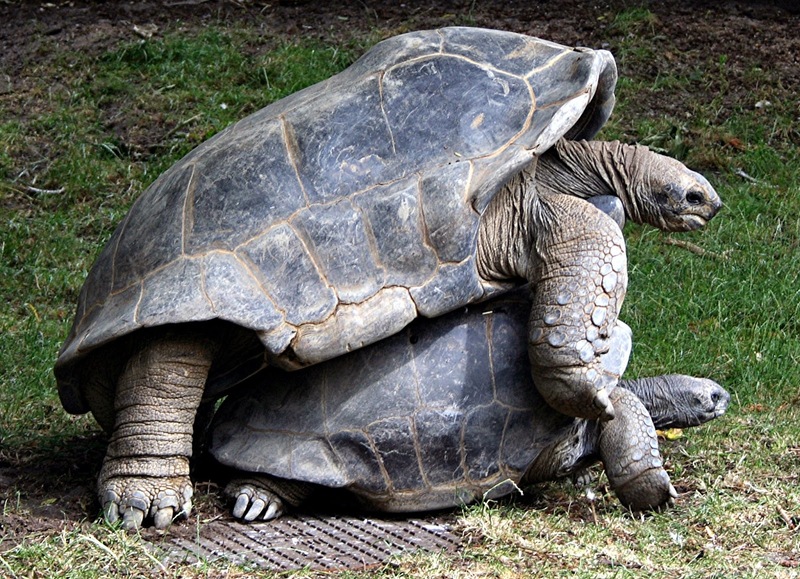 Moreover, by the end of 1999 at least 12 living hololissa individuals and 18 living individuals of Arnold's giant tortoise had been revealed in various locations around the world, including a very impressive specimen at Prague Zoo in the Czech Republic. Snapped in 1905 when its subject was still alive on Mauritius, a vintage black-and-white photograph still exists of what is now believed by some researchers to have been a hololissa, taken there from its native Seychelles homeland in 1764. Living in the Court House Garden on Mauritius, this venerable individual was therefore at least 140 years old at the time of being photographed, but was probably much older, because no-one knows how old it already was at the time of its transportation there from the Seychelles. All of which invites speculation as to how many other incognito specimens of hololissa and Arnold's giant tortoise may still be awaiting identification elsewhere. 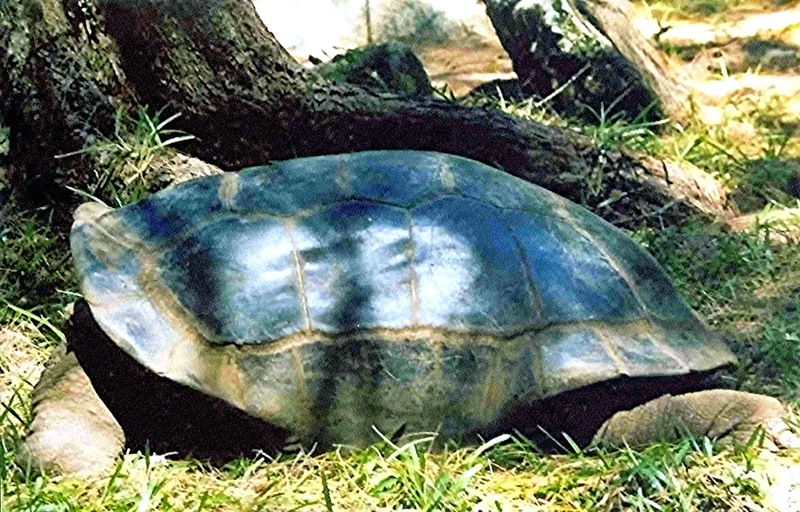 By the end of 1997, the NPTS had introduced several specimens of hololissa and Arnold's giant tortoise to Silhouette Island (third largest of the central Seychelles islands) in order to initiate captive breeding programmes for both of these recently-revived species and thus ensure their continuing survival, and it continues to search for more possible examples in captive collections worldwide. Officially known as the NPTS Seychelles Giant Tortoise Conservation Project, its patron is veteran wildlife film maker and broadcaster David Attenborough. Its long-term goal is to increase the numbers of both species in order to permit reintroduction to secure reserve sites within the Seychelles group - thereby restoring in viable form two remarkable endemics to their native island homeland after more than 150 years of 'official' non-existence. All that now remains to be accomplished in order for this tale of tortoise resurrection to be complete is for the fourth species of Seychelles giant tortoise – D. [now Aldabrachelys] daudinii, Daudin's giant tortoise – to be rediscovered. Known only from the Seychelles island of Mahé and named in honour of French zoologist François Marie Daudin (1776-1803), it was formally described and named in 1835, but officially became extinct in 1850. Judging from the recent success in revealing hitherto-unrecognised living specimens of the hololissa and Arnold's giant tortoise, however, who can say with absolute certainty that there are no incognito A. daudinii individuals out there somewhere too, alive and well but in blissful ignorance of the fact that their species is officially long-extinct?! To be continued…? 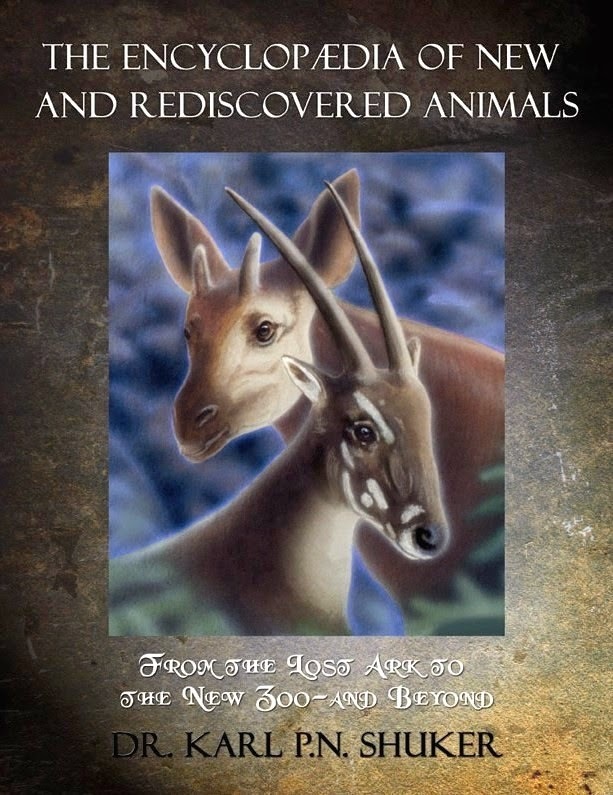 This ShukerNature article is expanded and updated from my book The Encyclopaedia of New and Rediscovered Animals (2012).